The Premier League is back on August 16th! 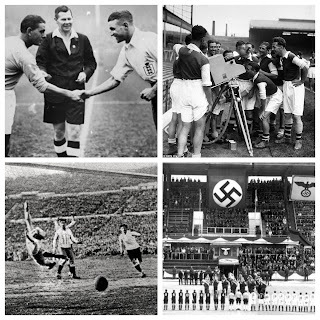 At The Football History Boys we aren't just all about history and love the modern game too so here, brought to you by four different writers, is our four-part preview to the new season. This is part one so have a read over our expectations for Arsenal, Aston Villa, Burnley, Chelsea and Crystal Palace and be sure to look out for the other 15 teams very soon! Reading over our Premier League preview from last season the clear issue for Arsene Wenger to address was the many, many years of trophy-less disappointment. 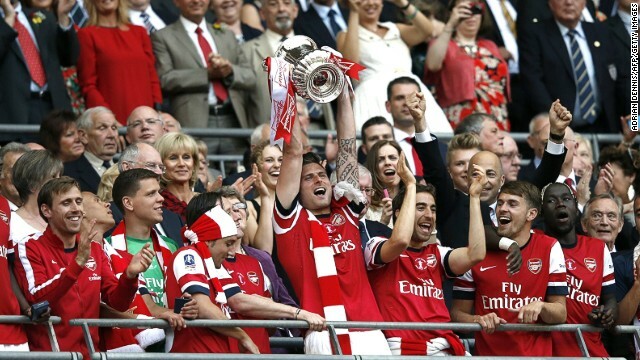 In May 2014 Arsenal did just that by winning the FA Cup against Hull City meaning for many of their younger players it was their first ever trophy. However, their Premier League campaign in my opinion must be considered a failure in my opinion because despite leading the pack for longer than any side they fell to 4th and saw Manchester City win the title instead. Arsene Wenger's Arsenal tenure has long been associated with a lack of spending but this summer has seen the spending of last summer continue. In 2013 Mesut Özil was signed for £42.5m from Real Madrid on deadline day and was seen as a seismic shift in Wenger's policy. This has been added to with the massive coup of Alexis Sanchez from Barcelona for £35m. Calum Chambers and Mathieu Debuchy also both reinforce an Arsenal defence that saw Bacary Sagna join Manchester City on a free. David Ospina is another excellent addition between the sticks and can compete with Szczęsny for the number 1 spot to give Arsenal an enviable choice in that department. However, the sale of captain Thomas Vermaelen to Barcelona for £15m may be a great price but is a loss of Premier League experience and a solid defender. Unfortunately, Özil did not quite live up to the hype of his transfer last August. He came as a leading assist maker across Europe and his sale led to protests from the Real Madrid faithful. However, he fell off the boil and this hurt Arsenal's season, especially when Welshman Aaron Ramsey picked up an injury. Midfield is the Gunner's strongest department (if we include their forward thinking wingers) and Wilshere, Ramsey, Flamini, Özil, Rosicky and Arteta all have legitimate claims to a starting place. If Walcott, Oxlade-Chamberlain and Sanchez hit form then Wenger has a mighty looking team. Cazorla is set to depart, as is Arteta and this will bring in some cash to help Arsenal pay back some of the signings. Lets not forget Arsenal's BFG at the back Per Mertesacker, he may be slow but is there when you need him and he will hope to command some of the new boys into the side, especially Calum Chambers from Southampton. My biggest concern though is their strikers, Lukas Podolski and Olivier Giroud. Giroud started the season well but fell apart somewhat in 2013/14 and Podolski only netted 8 Premier League goals. With no new signing in the offing its a big ask for these two to step up with the talent they have behind them. ONE TO WATCH: Alexis Sanchez who else could you pick? One of the most exciting signings to join the Premier League this transfer window is Barcelona's winger Alexis Sanchez. This man has pace, goals, assists and the tricks and flicks that will settle him into the Arsenal side quite comfortably. Expectations and pressure will be high, tons of Premier League fans will have him in their fantasy team (including me) and Sanchez will be the main man unlike his time at Barça when it was all about feeding Messi. He could be excellent, he could be average... Only time will tell! Aston Villa fans haven't exactly had it easy over the past few seasons. 15th last year, 15th the season before and according to some Villa fans I know they have only survived by virtue of there being a few sides slightly worse than them. Owner Randy Learner has lost complete interest in the club and really haven't look steady since the days of Martin O'Neill. This year Paul Lambert will have Roy Keane as his right hand man and they will be desperate to start the campaign strongly and avoid being in a relegation battle as Christmas comes round. Villa have been fairly quiet in the transfer market, Jole Cole adds experience as does Kieran Richardson and Philippe Senderos. Do they add much else? Ummm... For me not at all really! Aly Cissokho is their other new man and he didn't exactly tear up trees on loan at Liverpool last season either! Of course the fact they still have Christian Benteke (who is injured) at the club is very important, he will need to stay injury free to keep the Villans ticking over. 10 in 26 Premier League games last year will have to be a better ratio as will that of Agbonlahor and Weimann who netted 4 and 5 respectively. With no notable sales, (Albrighton's departure seemingly a big plus for Villa fans) the squad is similar but their youngsters now have another year of Premier League survival experience. The back line will be under a lot of pressure over the coming months and will need to protect Brad Guzan in goals. They have players such as Matthew Lowton, Ciaran Clark and Nathan Baker, all still young but all having played enough at this level to know what to expect. They will be marshalled by Ron Vlaar, their captain who was excellent for Netherlands in the 2014 World Cup. He will probably be subject to the odd bid so if they club keep hold of him then they will look a lot more watertight. Maybe don't go for any of these blokes for your fantasy team though... They will be very busy! ONE TO WATCH: This is a tough one, Villa have plenty of average players but no really star quality I suppose (other than Benteke on form). I'll pick a youngster, Jack Grealish, he's a young midfielder/winger who is Birmingham born and has had a strong pre-season. Whilst he was only in League 1 last season with Notts County on loan, the 18 year old played 37 times and won admirers. He won't be a starter from the very beginning but Lambert must be willing to give him a chance and if so there is no reason why he can't begin to play a key role. I hope looking back at this next season I don't regret the tip! FANS CORNER: Tom Nightingale - Football writer and Aston Villa fan: "The coming season could be the most pivotal for Aston Villa in recent years. After flirting heavily with relegation for the last three years, and with a great deal of uncertainty surrounding Randy Lerner’s potential sale of the club, fans should probably brace themselves for another season of struggle. 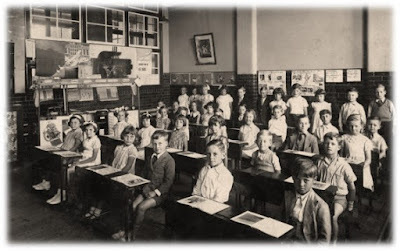 Paul Lambert has dramatically reversed his transfer policy of signing young unproven players ahead of 2014-15. Several uninspiring Lambert signings have been shown the exit door and the (admittedly still uninspiring) Premier League experience of Kieran Richardson, Philippe Senderos and Joe Cole has been brought in. Villa’s season may well hinge on two players. Ron Vlaar had a tremendous World Cup, justifying his ‘Concrete’ nickname, and holding on to the Dutch centre-back will be crucial as far as the defensive side goes. Christian Benteke needs to shake off the memory of an injury-hit 2013-14 and display the same goalscoring prowess as he did in his debut season in England if Villa hope to score the goals necessary to pull themselves up into mid-table." Welcome back to the Premier League Burnley! It was great having them last time around and now they're back following an excellent 2nd place in the Championship last year. The side were some 9 points off title winners Leicester City but were clear in 2nd by 8 points over Derby County and 13 over promoted QPR. They were the meanest defence too with only 37 goals conceded in 46 games and also lost the least, 5 times over the course of the season. Things will be a lot tougher this time around though, I know after being relegated as a Cardiff fan in 2013/14. Clarets fans will be fairly chuffed with their signings ahead of the 2014/15 season, Matty Taylor has plenty of Premier League experience and loves a goal from near the half way line! Lukas Jutkiewicz has played 234 league games in Britain whilst Matthew Gilks is a good back up to Tom Heaton on a free. Michael Kightly also made his loan more from last season a permanent transfer and will need no time to settle into the club. 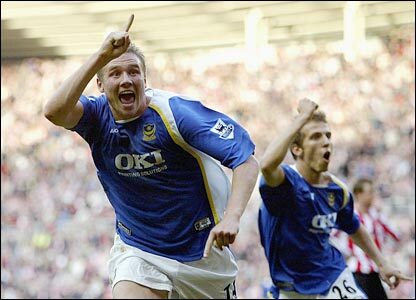 That said, not many are excellent top flight signings and that worries me slightly. It's tough for managers or sporting directors to get it right every time with a signing and there is no reason why some of these players won't be a star addition however it's a big ask for some untested men. Tom Heaton is going to be as important at the back as Danny Ings and Sam Vokes are up top. Heaton youth was spent at Manchester United with a number of loan moves before finding a home with Cardiff City. He was an important figure in the Bluebird's League Cup final cup run in 2011/12. When he fell behind David Marshall in the pecking order he was off to Bristol City where he played 43/46 games and then Burnley last year where he played every single league game. He will be a tested like never before at the back over the course of the campaign and will hope his captain in front of him, Jason Shackell (who also didn't miss a match), will save him some stress! Keep your eye out for the Premier League experience of David Jones in midfield as well, he knows the league well having played for Derby, Wolves and Wigan. Danny Ings - 22 and full of goals! ONE TO WATCH: Danny Ings tore up the Championship last season but I can guarantee plenty of people reading this who don't dabble in the second tier will not have heard of him. Ings is 22 years of age and following a few difficult seasons in League 1 and the Championship he found his feet in 2013/14. During his 40 league appearances he found the net 21 times catapulting an un-fancied Burnley to the fight at the top half of the table. His partnership with Welshman Sam Vokes was excellent as Vokes notched 20 in 39 games. However, this league is no easy place to come as a youngster and the partnership will be tested like never before. I fully believe Danny has the potential to shine in the top flight, let's see if he can! Matthew Taylor has scored some crackers in the Premier League! Chelsea saw the return of Jose Mourinho last season but unfortunately (or fortunately) this did not see the return of success and the Blues were left trophy-less. This summer though Chelsea have acted strongly in the transfer market and the "transition" year under Mourinho is now changing to a campaign of expectation instead. Two big players will be missing though and it will be very odd not seeing Ashley Cole or Frank Lampard lining up at Stamford Bridge. What will be even weirder is Lamps pulling on a Manchester City shirt after he signed on loan for 6 months before joining the MLS. It's time for Jose's boys to win some silverware! When you're Chelsea it is not difficult to attract world class players to join your club and that is exactly what they Pensioners' recruitment team have done this summer. Diego Costa and Felipe Luis were title winners and Champions League finalists with Atlético Madird, both vital components in that side but now a joint £52m purchase by Chelsea. Costa netted 27 times in 35 La Liga appearances in 2013/14, how will he fair in a different league and as the man expected to rocket the Blues to the top of the Premier League? Cesc Fàbregas also signed after Arsenal turned down their first option on the player from Barcelona, probably one of my favourite players of all-time from a club that isn't my own. 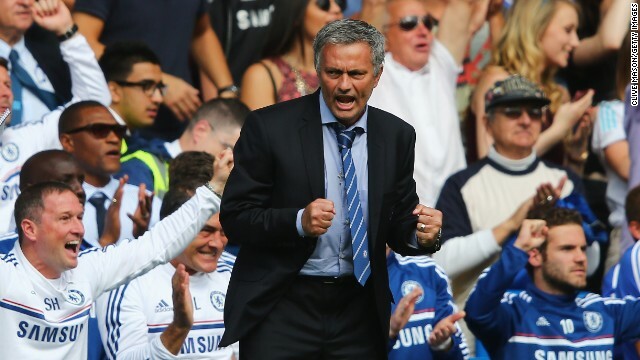 I'm flipping excited to see him back and I imagine Chelsea will be dreaming of him helping lead them to glory! £28m good business for Lukaku? Who am I yet to mention? Of course the return of the one and only Didier Drogba! His last kick in a Chelsea shirt was to win the Champions League in 2012 and is now back under Jose. This though sees Romelu Lukaku "the new Drogba" shipped out to Everton for £28m. Now £28m is a mighty fee for a 21 year old but this 21 year old has 32 Premier League goals over the past 2 seasons, that's an impressive feat! Will Chelsea live to regret that sale one day? Finally, David Luiz will ply his trade in France next season following his £40m move to PSG before the World Cup. The decision to sell seemed a wise one considering the fee and his performances against Germany and Netherlands in the later stages of the World Cup. He will though be a big character missing from the squad. Chelsea have incredible strength in depth, their choice of goalkeepers is Petr Cech and Thibaut Courtois and if both remain at the club then that is a phenomenal selection headache. Their midfield also is enviable with Nemanja Matic, Willian, Eden Hazard, Ramires, Cesc Fàbregas, Oscar, Mohammed Salah and John Obi Mikel available for Jose to pick. Chelsea's second string XI could contain many players that would walk straight into the first XI of other Premier League side. Cesc returns... A big season awaits him! 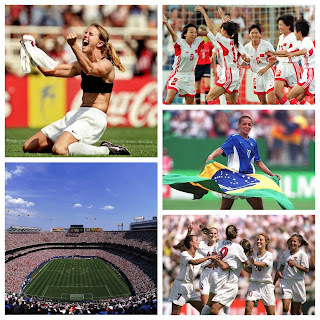 ONE TO WATCH: How can you pick a single player? I'll go for Cesc Fàbregas, perhaps another obvious choice like Alexis Sanchez but I don't care. Cesc comes back to the Premier League with a reputation that can only be added to after his time at London rivals Arsenal. I've been annoyed by those who don't follow La Liga saying that Cesc's move was a failure. In fact he played 36/38 La Liga games last season and 32 the season before. The time was right for him to move back though and when Arsenal turned him down (to me a crazy decision), Chelsea of course snapped him up. He is creative and loves the ball at his feet, a player Chelsea have been crying out for. Barça also employed him in a deep role or even as a "false 9" as a back-up to Messi. His versatility and immense ability means he has gone straight into my fantasy team! FANS CORNER: Tom & Jack Passmore, Chelsea fans: "After a trophy-less return for the Special One you can guarantee that Jose Mourinho will be desperate to bring the Premier League trophy back to the Bridge. Mourinho spent most of last season describing Chelsea as the "little horses" as his side weren't ready for a title challenge. He now feels his side have great balance and are ready. After Lampard's departure he sort to fix the issue of a lack of 'leaders' by bringing back Drogba to help marshall what is a young team. The acquisitions of marquee signings Cesc Fabregas and Diego Costa will give Chelsea both a cold blooded striker and a ball-playing midfielder, both of which have been missing for years. The Blues will take some stopping!" Crystal Palace had a season of two halves following their promotion to the Premier League last year. Ian Holloway was sacked on 23 October 2013, the club only picked up 3 points in their first 8 games and looked certain to be in a relegation sack. However, when Tony Pulis took the helm things began to turn around and results improved. This led to an impressive 11th placed finish as Palace were on hand to assist Manchester City to the title by coming back from 3-0 at home to Liverpool with goals in the 79th, 81st and 88th minutes. Tony Pulis has been there and done it with Stoke City and is undoubtedly a manager who is brilliant at working with what he's got, how will this coming campaign fair? The transfer market has been a quiet one for Crystal Palace with Fraizer Campbell their notable addition up front. He signed from Cardiff City when Palace activated his release clause meaning he was cheap at £900,000. Many fans will be excited by that deal and the striker will run his legs off every game but be aware Eagles supporters, he isn't as prolific as you think. I watched him 19 times last season and while he was playing in a poor, relegated side he still spurned opportunities that meant his record was only 6 Premier League goals in 36 matches. Brede Hangeland is more exciting in my opinion, the 33 year old signed on a free after Fulham released him. He has 217 Premier League games behind him and will bolster a tough defence. Jonny Williams, Kagisho Dikgacoi and Jack Hunt will spend time in the Championship next year as Pulis deems them surplus to requirement. I'm sure Palace aren't done yet and could be busy before the window closes at the end of August. Captain Mile Jedinak played every game of the 2013/14 season and then went to the World Cup with Australia, tiring I'm sure but he was excellent when called upon in all situations. Keeper Julian Speroni signed a new contract when it looked like he may leave and that is a boost for Pulis. Winger Jason Puncheon will also play an important role yet again, he was joint top scorer last season after making his loan spell move permanent in January 2014. If Puncheon can feed new boy Fraizer Campbell then Campbell's running will hopefully bring reward for the Eagles. 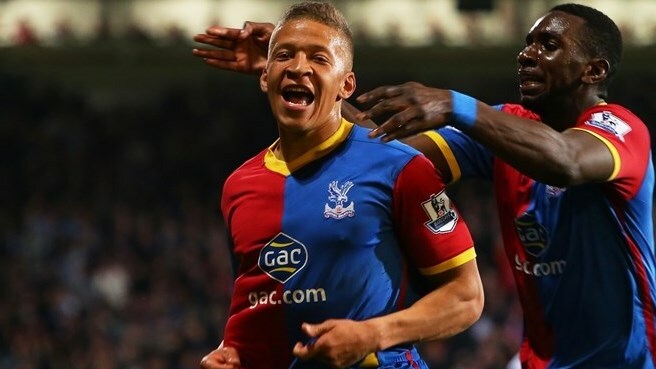 ONE TO WATCH: Dwight Gayle made the fairly high profile move to Crystal Palace last summer for £6m. In 2011/12 he was playing non-league football for Bishop's Stortford and people asked if he was ready for the step up to the top flight. Well the season saw him play 23 times in the Premier League and be joint top scorer with Jason Puncheon. He didn't exactly set the world alright but he didn't really disappoint either, is this campaign the one where he makes his name? After a chance to find his feet he now has to prove himself worthy, whether that's alongside Fraizer Campbell or in competition with is English peer. He's 24 so can't particularly be classed a young talent any longer, no excuses Gayle... This could be your season! Andy Johnson was a Palace hero, who else can earn that status this year? FANS CORNER: Niall Allen, singer with 'Only Men Aloud' and Crystal Palace fan: "From the doom and gloom of 1 win in our first 10 games to the elation of ‘that comeback’ against Liverpool, last season certainly had a few ups and downs; and after a pre-season that has included a 13-1 win at GAK Graz and a loss to Championship new boys Brentford it seems we’re set for more of the same! What Tony Pulis did for Palace last year was nothing short of a miracle and it will be interesting to see if he can build on that and secure us as an established Premier League side like he did at Stoke. Some solid, if unspectacular signings, have brought some much needed depth and experience to the ranks and securing the services of Marouane Chamakh and Julian Speroni for another season has certainly pleased the fans. Rumours persist of a homecoming for Wilfried Zaha and Palace will certainly need to add a few more new faces before the season starts if they are going to kick on and consolidate the sterling work of last year. One to watch: After missing most of last year through injury it will be interesting to see if Glenn Murray is given a chance to prove himself at the highest level with a full pre-season behind him. I’m also hoping to see more of Dwight Gayle, who proved what a threat he is in front of goal towards the end of last season." Don't miss parts 2,3 & 4 - coming soon! 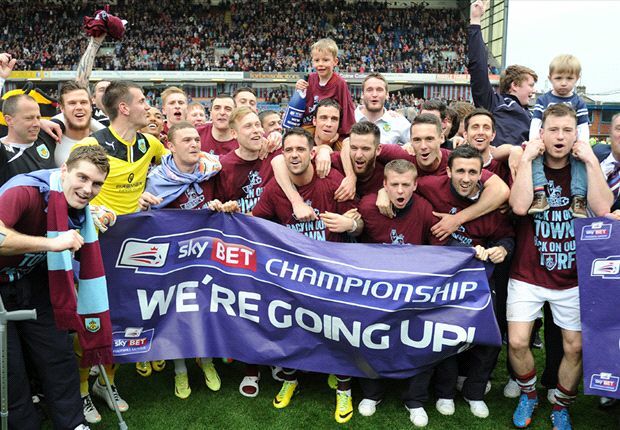 Here also is our full preview for this year's 2014/15 Championship season!